Upon receipt of equipment, check carton for visible damage. Make a notation on the shipper’s delivery ticket of any damages before signing. If there is any evidence of rough handling, the cartons should be opened at once to check for concealed damage. If any damage is found, notify the carrier within 48 hours to establish your claim, and request an inspection report from the carrier. The warranty claims department should then be contacted. Unit turned off and then on too quickly. Thermostat set too low for cooling. Replace fuse with time delay type or reset circuit breaker. Wait 3 minutes before restarting. Set thermostat to lower temperature. 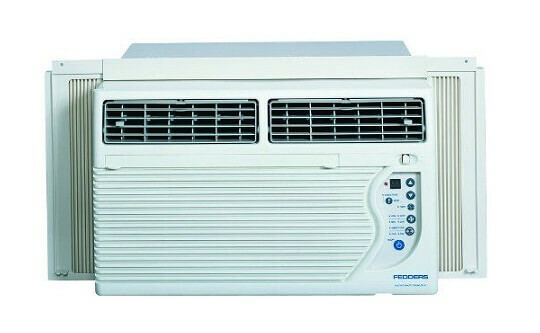 Cooling may not occur until room temperature rises above 70°F. Dirty air filter air restricted. To defrost the coil, set mode to Fan. Then, set thermostat to warmer temperature. Set thermostat to colder temperature. Sound of fan hitting watermoisture removal system. The sound of rushing air is normal. If too loud, Fan Speed to Low setting. This is normal when humidity is high. Close doors, windows and registers.